Siri Singh Sahib Bhai Sahib Harbhajan Singh Khalsa Yogiji, also known as Yogi Bhajan was the chief religious and administrative authority for the Ministry of Sikh Dharma in the Western Hemisphere. A deeply devoted Sikh, his inspiration and example motivated thousands to embrace the Sikh way of life. Through his personal efforts, Sikh Dharma was legally incorporated and officially recognized as a religion in the USA in 1971. Yogi Bhajan was a Master of Kundalini Yoga, the Yoga of Awareness, and a dedicated and inspired teacher. Since arriving in the United States in 1969, he dedicated himself to bring meaning, dignity and a reconnection of Spirit into the lives of people everywhere. As he worked diligently to spread the science and practice of Kundalini Yoga throughout the Western Hemisphere and beyond, Yogi Bhajan became widely recognized as a world leader and champion of world peace and healing. Throughout recorded history, a handful of spiritual giants have arisen as dynamic catalysts for the advancement of human consciousness. Their revolutionary teachings and their very presence on the planet have accelerated the progress of millions of souls. Such a master, a Teacher of teachers, was Yogi Bhajan. 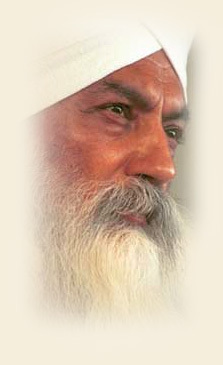 Yogi Bhajan left his physical body on October 6, 2004. However, the legacy of his teachings and his inspiration live on and the light of his spiritual essence continues to shine and to bless the entire humanity.